Emily Ballou is a writer of novels and screenplays, and a prize-winning poet. Her book The Darwin Poems , which explores aspects of Darwin’s life and thoughts through the medium of poetry, was recently published by the University of Western Australia Press. Simon Conway Morris is professor of evolutionary paleobiology at the University of Cambridge and the author of books on early evolution (The Crucible of Creation, 1998) and evolutionary convergence (Life’s Solution, 2003). He discusses a wide range of issues, from the evidence of design in nature, to the status of Darwinism in modern biology, to the role that science can play in a reenchantment of nature. Tim Lewens is a philosopher of biology at Cambridge who has recently written books on the language of design in science and philosophy ( Organisms and Artifacts , 2004), and on the role of Darwin and Darwinism in modern philosophy ( Darwin , 2007). 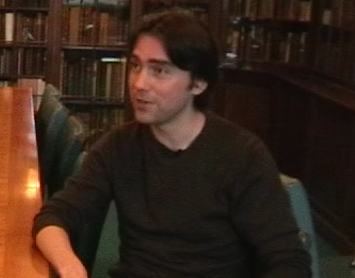 Pietro Corsi is Professor of the History of Science at the University of Oxford. His book Evolution Before Darwin is due to be published in 2010 by Oxford University Press. Here he discusses the reception of Darwin’s work in France, and the religious and other controversies it provoked there.